Home > Big Data, NoSQL	> What is Document Stores? In my last article I explained Key-Value Stores. I’ll explain about Document Stores which is one of the subcategory of NoSQL Databases. As name explains this category is store of semi-structured documents which supports formats like JSON. Attractively rather than calling rows they call individual row as document. What do you mean by Document in Document Store? But people are looking at document store are specialized key-value stores and yes they are accurately focused key-value stores. But there is same argument for most of the NoSQL database but it’s clear that document store is being getting used in certain area. That’s why document store ended up being voted as most popular by developers, startups and the people who fund startups. Document Store database are widely used for storing semi-structured JSON formatted documents like Twitter, Facebook, Linked In streams and do further analysis on the top it to build operational business intelligence with the help of queries(most of document store databases supports query language), aggregation framework or map reduce. Here is list of few Document Stores NoSQL Databases with their logos. 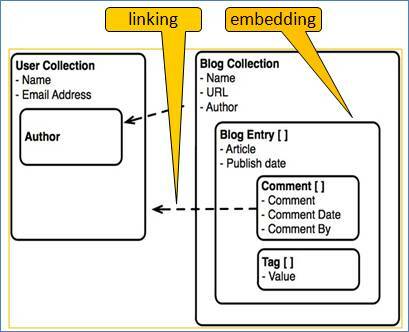 Below is graphical representation of schema in document store database. Document Store NoSQL databases are most popular with developers because of following reasons. Fully supported available to HTTP-based REST API, each document is addressable by its own URI and you can perform CRUD operations on your data with mobile applications and rich AJAX-style browser apps. It behaves terrible like a web server in terms of creating data, pulling data, fetching it, updating it, by using the standard HTTP verbs. Hope this is useful information to all readers. I’ll explain Wide Column Stores in my next article. I got what you mean, thanks for posting. Woh I am glad to find this website through google. Very good posting!! But I’m not able to access graphical representation of schema. 2012 in review What is Key-Value Stores?